Create professional network diagrams & proposals with ease. project inventory, quotes, proposals and documentation. Increase your close rate by reducing the time to quote and present proposals to your prospects. All project data is stored in one, secure location, accessible from anywhere at any time, limiting duplicates and loss of information. 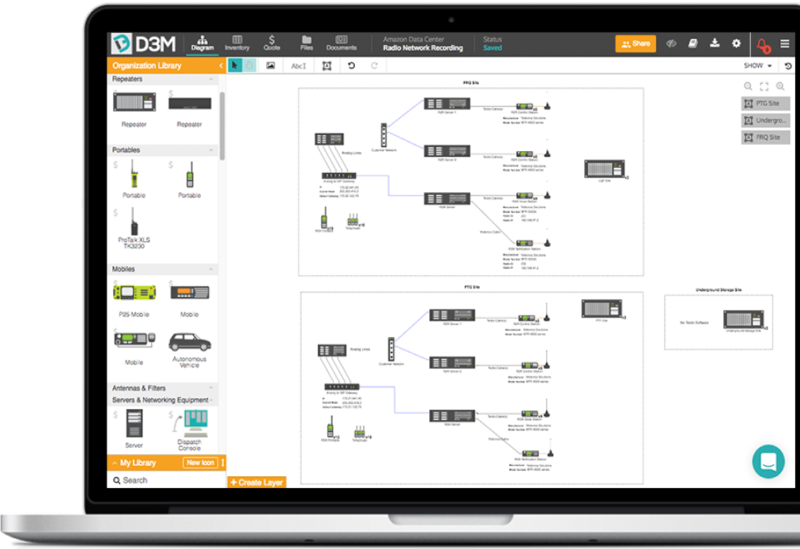 As you design your network diagram, D3M auto-generates your project inventory, quote, and proposal, which updates as you make changes. D3M offers icons from a variety of industry leaders such as Motorola, Kenwood, Hytera and more to bring users extensive icon libraries. or check out our plans.